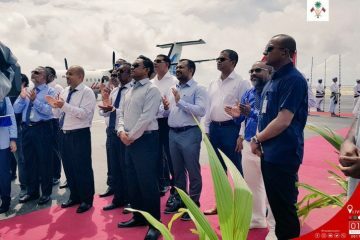 The national carrier of the Maldives, Maldivian, officially commenced scheduled flights Wednesday to the newly developed state-of-the-art domestic Dhaalu Airport in Kudahuvadhoo island. Maldivian operated a test flight to Dhaalu Airport on June 1. Its first official flight to Dhaalu Airport from Velana International Airport on Wednesday afternoon was fully booked, according to Abdul Haris, the managing director of Maldivian’s operator Island Aviation Services (IAS). 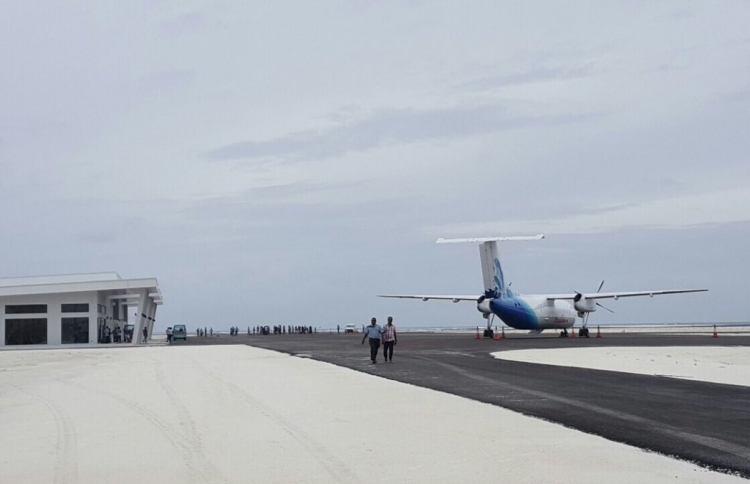 Haris stated that Maldivian will operate daily flights to Dhaalu Airport every afternoon beginning Wednesday, including cargo carrying services. He said that Maldivian’s plan is to operate four weekly flights to Dhaalu atoll. “In the future, we’ll also operate flights at night,” he announced, saying that preparations are already underway at the airport and that IAS is now awaiting Civil Aviation Authority to authorise nights operations. 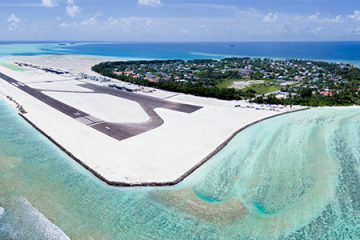 Dhaalu Airport in Kudahuvadhoo was developed by Reollo Investments with a runway of 1,800 metres. It is the first domestic airport that can accommodate private jets in the Maldives.